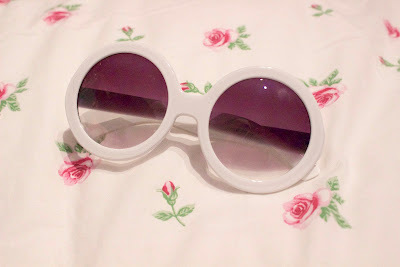 hi lovelies~ today i decided to do a review on a lovely pair of sunglasses i received from zeroUV! i purchased them a while back and i had the pleasure of getting to learn about the company through the short, but good, interactions with them! i needed to buy a new pair of sunglasses due to the fact that my two pairs of sunglasses BROKE inside my school bag in the exact same way. it was brutal. i ended up finding this company through a lookbooker and i instantly fell in love! note that i have not been endorsed or sponsored by them; this is just my honest opinion and general review of the company and the products! so just follow on through for a full review! what you see when you immediately open up the shop's page! the site is incredibly easy to navigate (links are down below). they utilize their own independent cart system. you can pay using paypal OR a credit card / visa-debit card. i used paypal. fairly straightforward. there's an option of paying with google but i have no idea what that is or what that entails (sorry!). browsing a few of the glasses! 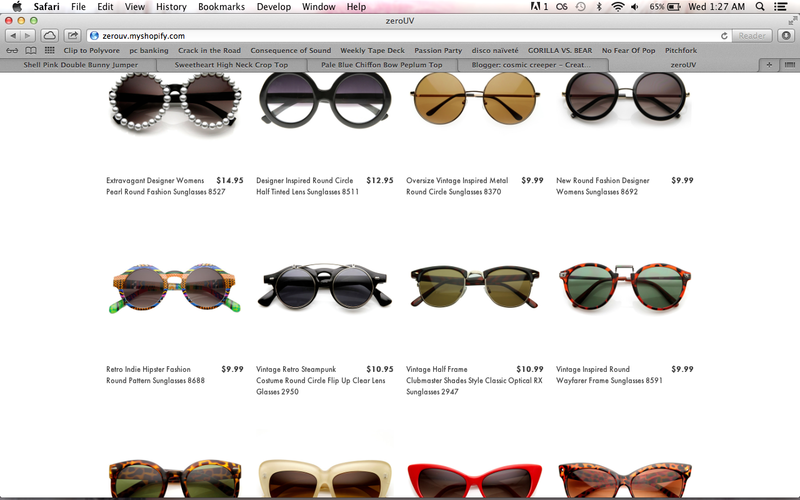 the prices of the sunglasses are fairly cheap based off the quality of the glasses you will be receiving. most range from 10$ to 25$USD. i found shipping a little expensive for something so small, but i'm also used to shopping on sites that utilize free shipping, so i'm a little spoiled in that regard! even after factoring in shipping, however, the price is still super reasonable! i ordered these lovely pair of sunglasses originally on march fourteenth. 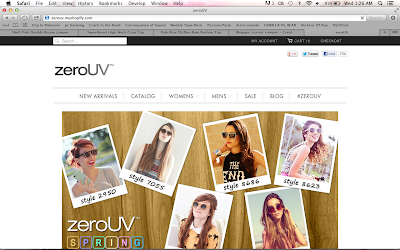 they were shipped the next day and i was provided with a tracking number by zeroUV in my email. i received them finally on march twenty seventh. it came in a small box, just big enough for the sunglasses. fit right into the mail box! 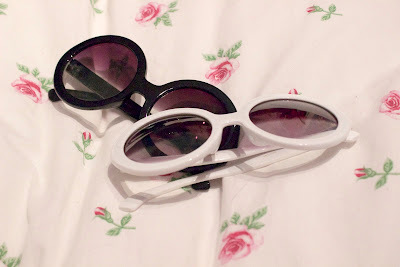 i ripped open the packaging and in it contained a pair of sunglasses and a little bag for them for storage to keep clean~ super lovely! 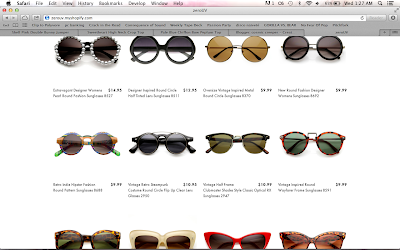 to my dismay, however, the glasses were the black variant! i checked the physical receipt that came with the sunglasses and also the electronic receipt and i confirmed that i hadn't misclicked any buttons, but that i was sent the wrong colour! i immediately made use of their contact form and sent them an email. i received a reply the next day and was instructed to take a picture of the glasses i had received as well as the receipt. i did so. that night they offered either a full refund or to send me a replacement pair for free! i obviously opted to received my white pair and they sent it within two days. i received the white pair on april fifteenth. so both shipping times took approximately two weeks which is what their website supplied! they're amazing quality! the frames seem incredibly durable! they're very thick, which makes them a little heavy, but not heavy to the point where they're falling off my face. the lenses are amazing, as well. the two toned lenses are actually really great. 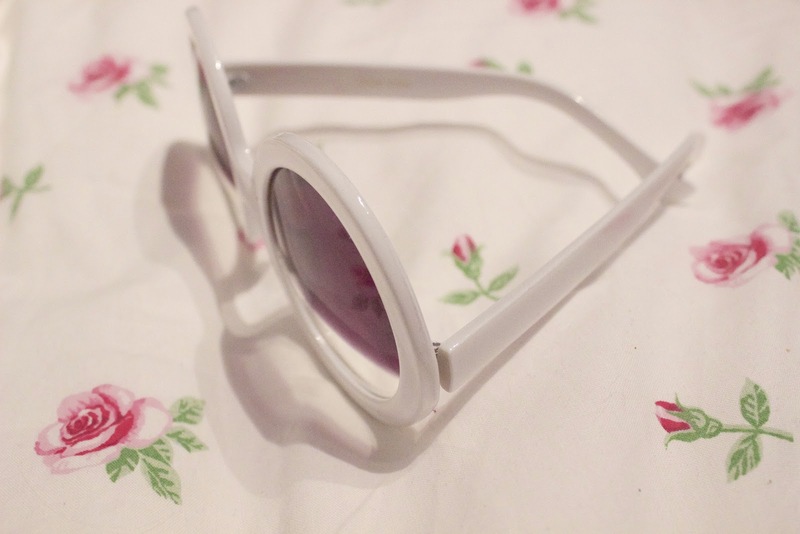 the top half is tinted to protect against the sun shining down upon you, while the bottom half is just a clear lens. not only does it look cool, but i find it's better because the top part blocks out the sun, while the bottom half allows me to see the beauty of the bright, sunny day with perfect clarity and without tinted obstruction or sun obstruction! it seems like they'll definitely last a while and i know they will definitely get their full use! c: i honestly love them both! 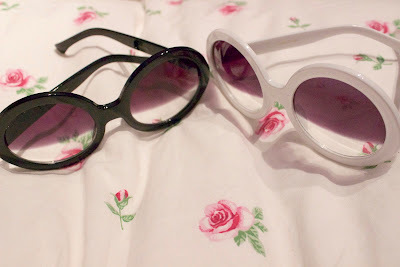 i don't wear black coloured sunnies, so i'm debating on doing a giveaway or just customizing them with pearls and floral cabuchons~ who knows! they have plenty of other styles on their website (including a pearl embellished pair) among a moderate array of different vintage frames! i highly suggest you check them out! their prices are great for the quality you are getting! i'm positive these won't break by being in my bag (though i should invest in a sunglasses case)!